Unfortunately, in one concise and unemotional sentence, she described the plight of many of the young women here in the jungle. They simply are not wanted. Even worse is these young women are repeatedly told this information. They grow up believing they are of no value and no one will really ever want them. Here at the Hope House, we are changing that line of thinking. Our mission is to raise Godly young woman by helping them discover their identity in Christ and also providing them a quality education. Before entering the house, many girls would face a life with no future and continue to be fed the lie that they are unwanted and worthless. But here at the Hope House, they are learning to love themselves and find value in the gifts and personalities that God uniquely designed for them. Along from spiritual discipleship, we strive to provide each girl with a strong education. From school uniforms to after-school tutors, we see to every educational need. And now we are planning to meet another. As a former English teacher, I was saddened by the lack of availability of books for the youth of our town. Not one bookstore can be found in our community! Books open up new worlds, new ideas, and even help discover dreams. This is a blessing that I want for our girls here. We’ve decided to create a library here at the Hope House. But we need your help! Our goals is to purchase 4-5 Kindles as well as soft and hardback books in Spanish. The greatest part is that this investment will not only be for the girls at the house now, but will serve the girls for years to come. We have decided to purchase all books through Amazon since we can easily download books for the Kindles as well as locate books in Spanish and have them shipped here. If you would like to be a part of helping build the Hope House library, here’s what you can do. Purchase an amazon gift card and send it directly to my Hall Family Mission email. (Please note: this would not be a tax-deductible gift.) I will in turn send you an update of exactly what was purchased using the card. 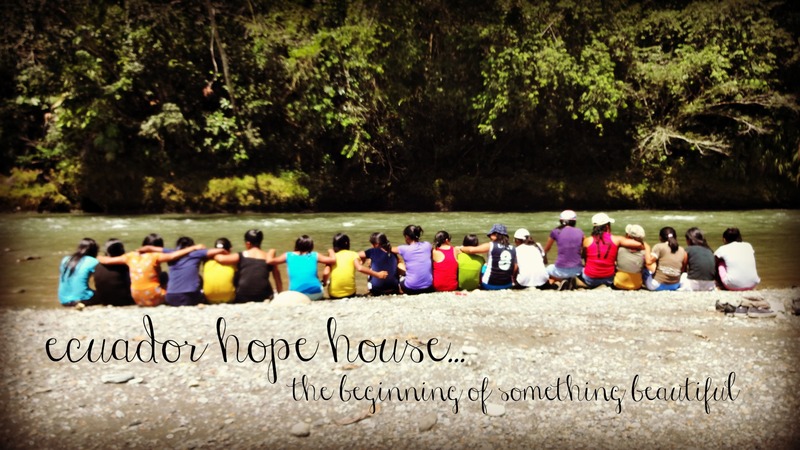 Make a one-time donation to the Ecuador Hope House World Missions Account via the AGWM website. (See link here.) If you choose to do this, please email me and let me know the amount you donated, so it can be set aside for the library. Finally, if you have recently updated your Kindle to a new model, you could donate the old one. Simply contact me on how to send it. If you have any questions, please contact me via email (alicia@hallfamilymission.com). Our goal is to have this library up and running by October 1st. I cannot wait to share with you the impact that reading will have on the lives of these already amazing young women. Thank you, dear readers, for believing in this blog and this ministry. This entry was posted in Missions, Women's Issues and tagged books, encouraging others, jungle missionary, reader on September 5, 2013 by aliciachall28. Great way to help and make a difference in the life of these girls. Happy for the opportunity to help!